Email Marketing is one of the preferred strategies used by B2C and B2B marketers worldwide. 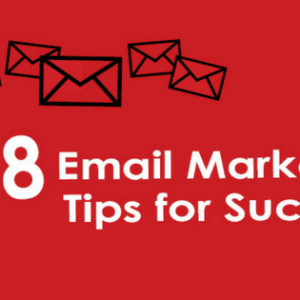 Stick to these simple tips and best practice guidelines and you’ll be on your way to establishing a winning email marketing formula that works for your business. Take a look at our infographic then read below as we delve into each point in more detail. Keep subject lines short (less than 50 characters) and clear. 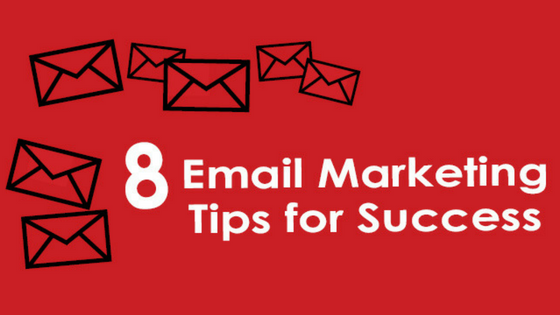 Don’t use tricks or clickbait to trigger an open, then leave your audience feeling annoyed that what they thought would be in the email, clearly isn’t! Otherwise your future emails may not get opened at all! Keep text within your email to the point. Use persuasive language and a short reason why your audience should click on your landing page link. Talk your customer’s language and keep your emails concise. Does your email provide value to the reader – whether it’s informational/educational, newsworthy, offer-driven or entertaining? Email campaigns without any value to the reader won’t last, and are indicative of low open rates and click through rates. Are your landing pages geared towards generating you leads? Ensure you include prominent call to action buttons/forms/prompts, video/images to best promote your product/services and awesome text and content that tells, not sells. Is your email list up-to-date and are all contact details correct? You want your sender reputation to be stellar to help you make it through spam filters. Avoid hard bounces and spam complaints by making sure that the recipients you’re sending to want to receive emails from you. Test, test, test to improve your email campaign. You can use A/B Testing to see what subject line, email headline, imagery, call to action prompt etc works best. Use a smaller test group to measure the response to one variable then send the bulk of the group the winning email! Once you’ve created your email campaign template, be sure to view it on several types of devices and email clients. This way you can ensure that your email looks amazing and functions correctly regardless of whether the audience views it on their mobile, tablet, PC or whether in Outlook or in Gmail. Always provide an opt-out option on your email, along with pertinent company/sender information. These are just two of the things you’re required to do to abide by Australian Privacy Act rules. There are others relating to gaining the consent of your readers, so be sure you’re full bottle on the relevant guidelines. Need help with email marketing ? Talk to Marketing Wing about how we can work together to create and manage an email marketing campaign that will focus on stimulating leads and sales. We’re a small, yet powerful Marketing Consultancy that can assist you with all facets of marketing. Chat to Marketing Wing today about email marketing for your business. We service Perth small and medium size B2C and B2B clients across all industries.